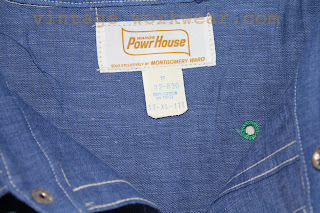 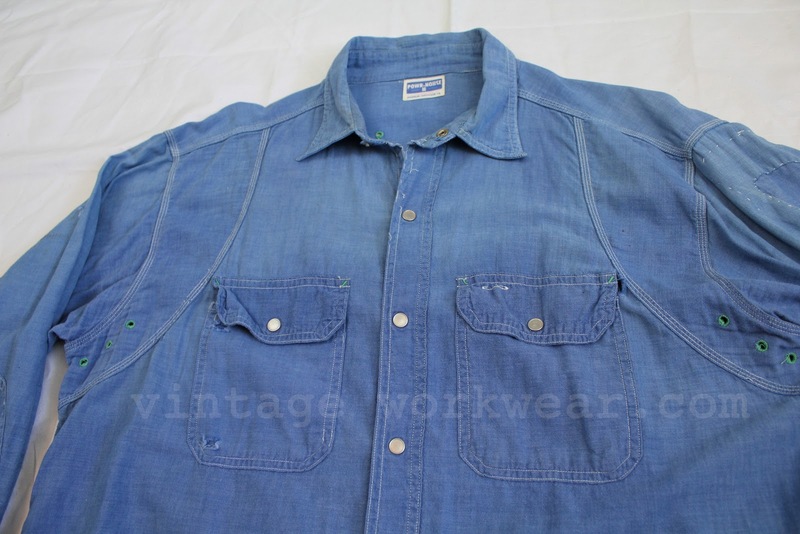 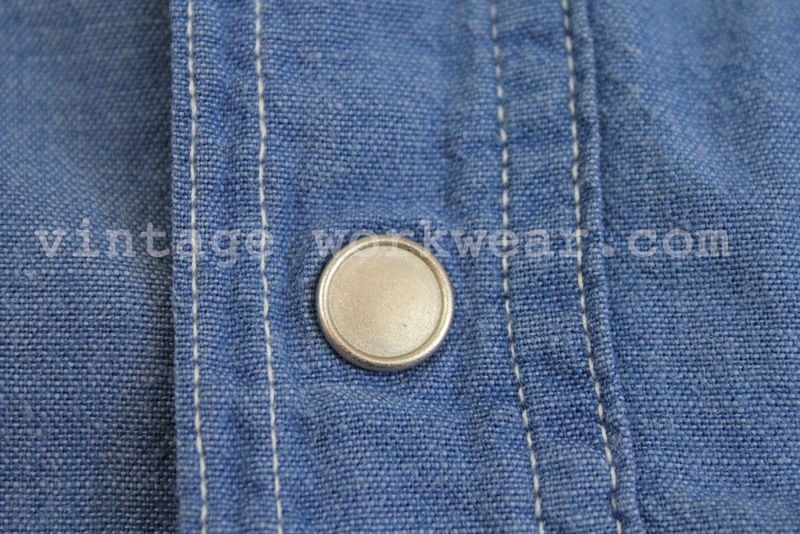 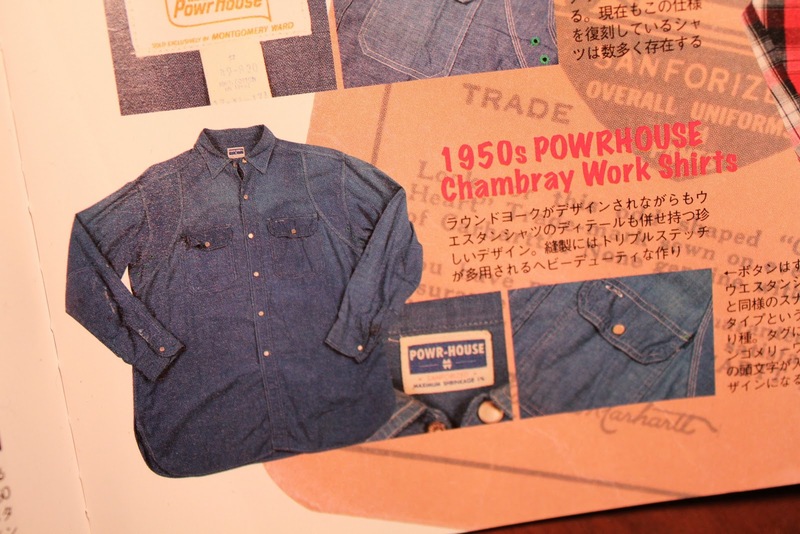 1950's era Montgomery Ward POWR HOUSE Vent-Hole, Vat-Dyed Dark Blue Chambray Work Shirts. 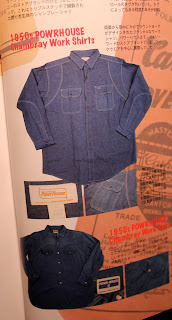 Seen in Lightning Magazine American Heritage Issue Volume 101. 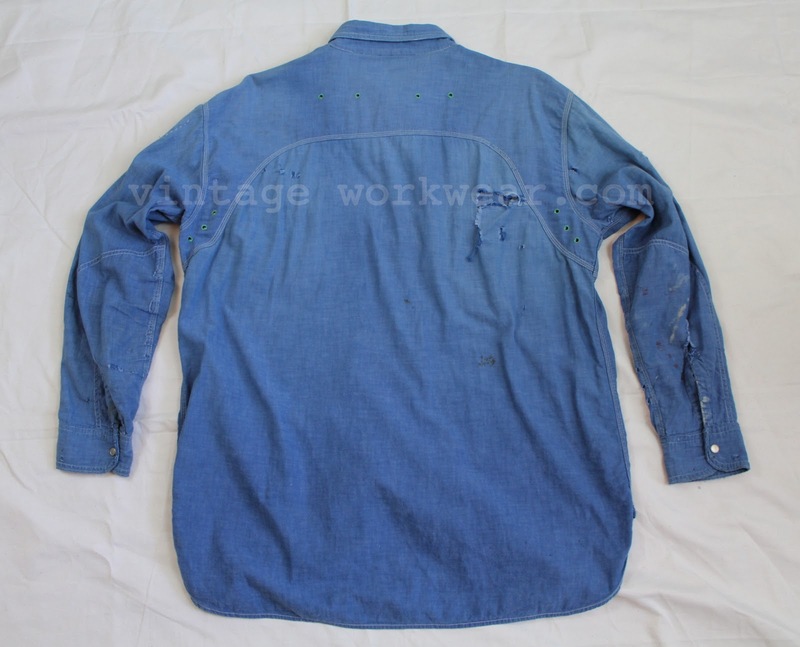 Well worn with multiple holes and nicks, but holding up due to its true workwear design. Originally made to last twice as long and provide twice the wear. 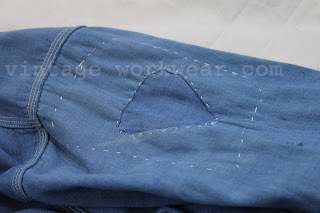 Details include double fabric back, shoulders & elbows, triple stitched seams, vat-dyed to hold color after many washings and rust proof Gripper fasteners that were guaranteed for the life of the shirt. Harder to find vat-dyed dark blue chambray with beautiful sun fade showing shirt was worn with overalls outdoors. 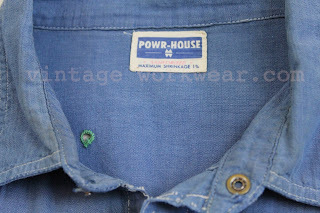 Older MW POWR HOUSE • SANFORIZED • printed label. 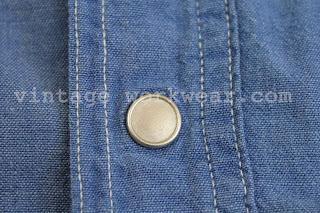 Bare metal Scovill GRIPPER snaps. Nice hand sewn primitive repair. 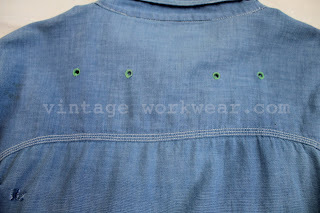 Green vent hole grommets or eyelets, either way...NICE! 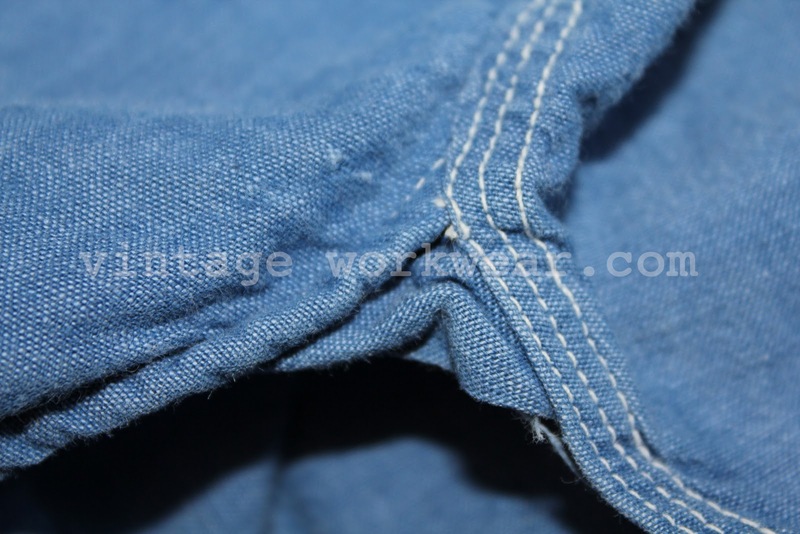 Lower shirt tail rip-stop gussets. 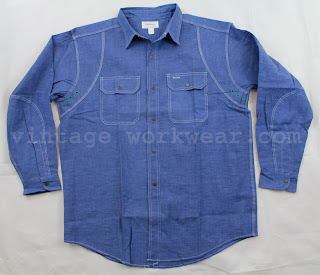 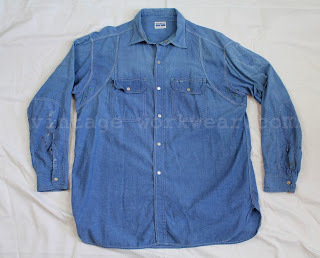 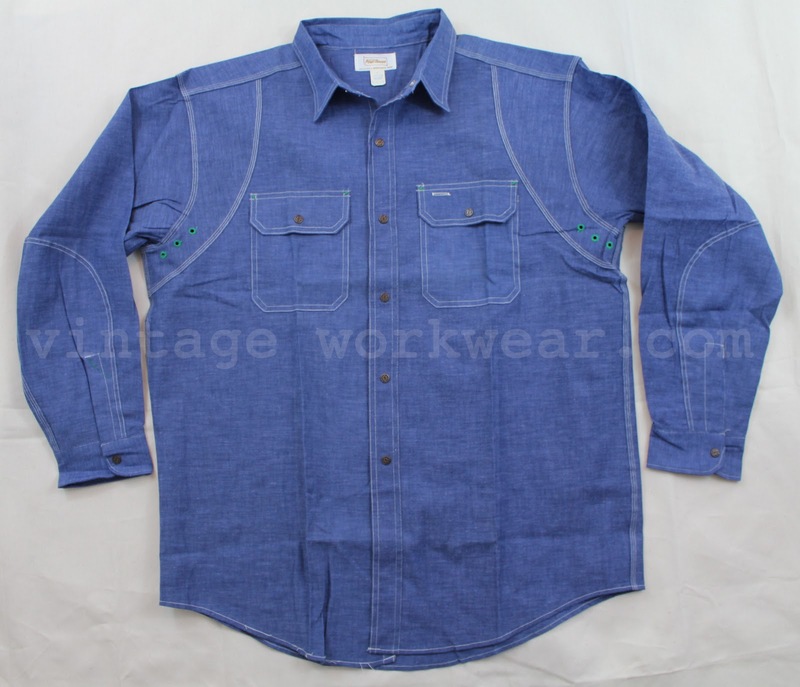 Same basic vat-dyed dark blue chambray vent-hole shirt as above only in deadstock condition with MW embossed Scovill GRIPPER snaps and late 1950's early 1960's WARD'S Powr House label. More photos of this N.O.S. shirt can be found in a previous post here.